BEIJING -- Ford Motor Co. is considering introducing more models in the value segment to target consumers in the country's smaller and less developed cities. The automaker will produce electric vehicles in China, with the timing undecided and depending on market acceptance, said Joe Hinrichs, president of Ford's Asia Pacific and Africa region. "We'll be bringing in more value proposition products from the Ford brand, lower price points, more value oriented," Hinrichs said. "Those tier four, five cities in the central, western part of the country, that's where the opportunity is, where the untapped potential is." Ford makes the Fiesta, Focus, Mondeo and other vehicles in China in a three-way tie-up with Chongqing Automobile Co. and Japan's Mazda Motor Corp. The Fiesta -- the least expensive Ford model marketed in China -- sells in a range equivalent to $12,300 to $17,500. The same lower pricing could be applied to other emerging markets in Asia-Pacific, Africa and elsewhere by taking advantage of single model platforms for global sale, Hinrichs said. Ford, playing catch up in China with General Motors and Volkswagen AG, announced plans last week to build a $760 million assembly plant in Hangzhou that will double its Chinese output to 1.2 million vehicles annually. 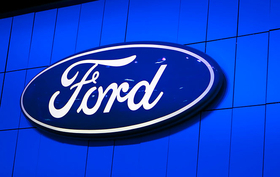 Ford has said it will bring 15 new models and 20 new engines and transmissions to China by 2015. The automaker will begin selling three additional SUVs in the country within the next year to meet demand for the fastest-growing segment of China's auto industry. Ford's China inventory fell to 30 days at the end of the first quarter from the "mid-30s" at the start of the period, Hinrichs said.